ALMOST EVERY technology for generating heat requires a sufficient amount of heat to get the desired efficiencies. There are number of techniques to generate electricity from heat. One of the cheapest methods is the solar power. It is the conversion of sunlight into electricity, two methods are mostly used for this conversion, photovoltaic’s (PV) or concentrated solar power (CSP). The output temperatures of non-concentrating solar collectors are limited to temperatures below 200 °C. 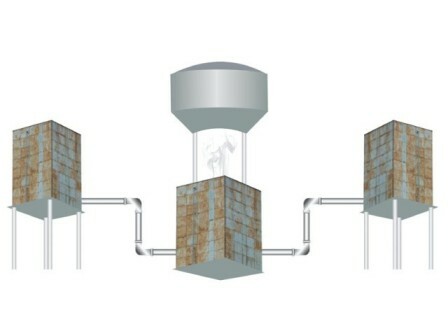 Therefore, concentrating systems must be used to produce higher temperatures. The Concentrating Solar Power (CSP) systems use lenses or mirrors and tracking systems to focus a large area of sunlight into a small beam. 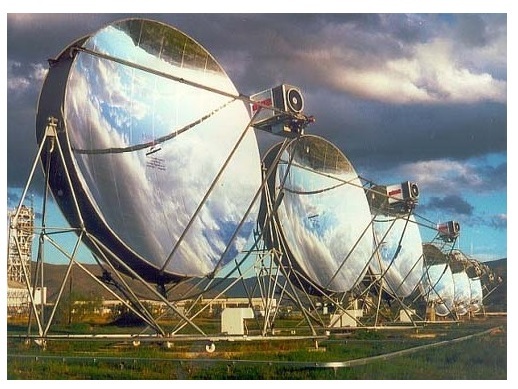 Number of concentrating technologies is present nowadays but the most common and efficient are the parabolic trough, the concentrating linear Fresnel reflector, the Sterling dish and the solar power tower. The main function of all these systems is to concentrate and focus the sunlight. Photovoltaic, a device that converts light into electric current using the photoelectric effect or we can say that it converts incident light of sun into electricity. First photo cell was constructed by using silver selenide in place of copper oxide by a German Engineer, Charles Fritts in 1880. But it converts less than 1 per cent of incident light into electricity so the scientists continue their work and made another Silicon solar cell in 1954, with an efficiency of 4.5-6 per cent. They produce direct current (DC) power the intensity of sunlight. Inverters are also used to maintain voltages and currents and a module is connected or tied to an inverter, which produces power at the desired voltage, and for AC, the desired frequency/phase. It was considered to be the best way to cope with the economical situations in future when there may be shortage of petroleum and fossil fuels and nowadays it’s used at a greater capacity almost in every part of the world. After the middle of 20th century, the installation of photovoltaic cells increase rapidly due to supply issue of oil, petrol and increasing their price. Photovoltaic production growth has averaged 40 per cent per year since 2000 and installed capacity reached 39.8 GW at the end of 2010. As of October 2011, the largest photovoltaic (PV) power plants in the world are the Sarnia Photovoltaic Power Plant (Canada, 97 MW), Montalto di Castro Photovoltaic Power Station (Italy, 84.2 MW) and Finsterwalde Solar Park (Germany, 80.7 MW). There are also several large plants under construction such as; The Desert Sunlight Solar Farm is a 550 MW is under construction in Riverside County, California, the Topaz Solar Farm is a 550 MW photovoltaic power plant, being built in San Luis Obispo County, California, the Blythe Solar Power Project is a 500 MW photovoltaic station under construction in Riverside County, California. These listed power plants are presently under construction. If we take a glance of operational solar power plants, the world’s two largest photovoltaic power stations are Agua Caliente Solar Project (250 AC), USA and Charanka Solar Park (221 MW), India. On the other hand, on May 29, 2012 Pakistan had stepped ahead by inaugurating the first ever solar power on-grid power plant in Islamabad. The Project titled “Introduction of Clean Energy by Solar Electricity Generation System” is a special grant aid project of Japan International Cooperation Agency (JICA) under the Cool Earth Partnership. This project includes the installation of 178.08 kW Photovoltaic (PV) Solar Systems each at the premises of Planning Commission and Pakistan Engineering Council, Islamabad which would cater to the needs of both, the Planning Commission (P Block), Pak Secretariat and Pakistan Engineering Council Buildings. Combining the generation capacity of both the PV systems, a total of 356.16 kW of electricity can be generated by the entire setup. The project is executed with the grant assistance worth 480 million Yen (approx. 553.63 million Pakistani rupees) in three years of time commencing from 2010. And a 50 to 100 MW of photovoltaic is expected to be installed in 2013, and at least 300 MW in 2014. Photovoltaic systems use no fuel and modules typically last 25 to 40 years. The installation cost is almost the only cost because does not require any kind of fuel so the cost after installation is only of maintenance, as there is very little maintenance required. Installation cost is measured in $/watt or €/watt. A single watt of installed photovoltaics generates normally an average of 1 to 2 kWh per year. The greenhouse gas emissions of this type of electricity generation is are in the range of 25-32 g/kWh and this could decrease to 15 g/kWh in the future but on the other hand, gas-fired power plant emits some 400-599 g/kWh, an oil-fired power plant 893 g/kWh, coal-fired power plant 915-994 g/kWh, Only wind and geothermal low-temp are better, emitting 11 g/kWh and 0-1 g/kWh in average. The study found that concentrated solar power could account for up to 25 per cent of the world’s energy needs by 2050. There are several proposals for gigawatt size, very large scale solar power plants. They include the Euro-Mediterranean Desertec proposal, Project Helios in Greece (10 gigawatt), and Ordos (2 gigawatt) in China. 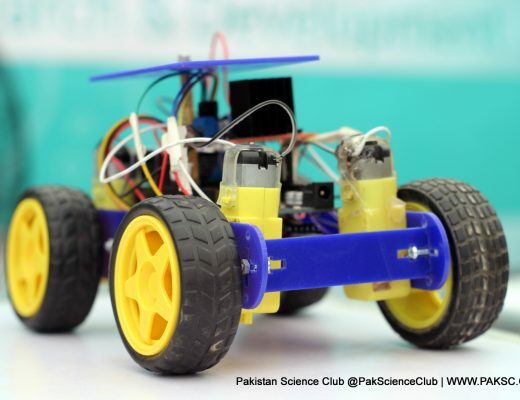 Now let us see what Pakistan is doing further because our neighbour country has left us too much behind in the field of technology and generation of electricity. Pakistan also has too many sites at which such type of projects can be placed. We are waiting, watching and hoping for the bright future. The writer is B.E student, at QUEST, Nawabshah, Pakistan. What a great resource! WEll done ! It is a very informative blog regarding solar energy however it is still not utilized properly in Pakistan.